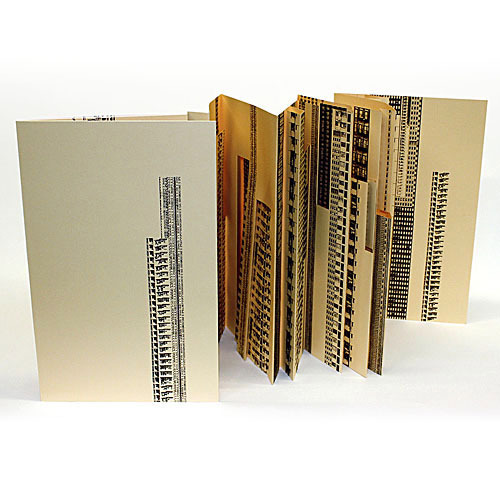 Unlimited edition of sculptural book projects that function as portable temporary environment which can be unfolded, displayed, and contemplated by the viewer. 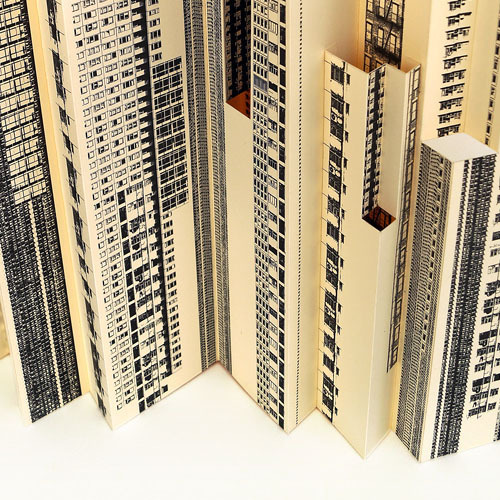 The series is part of a larger body of work concerned with using pop-up structures to translate natural and urban landscapes. 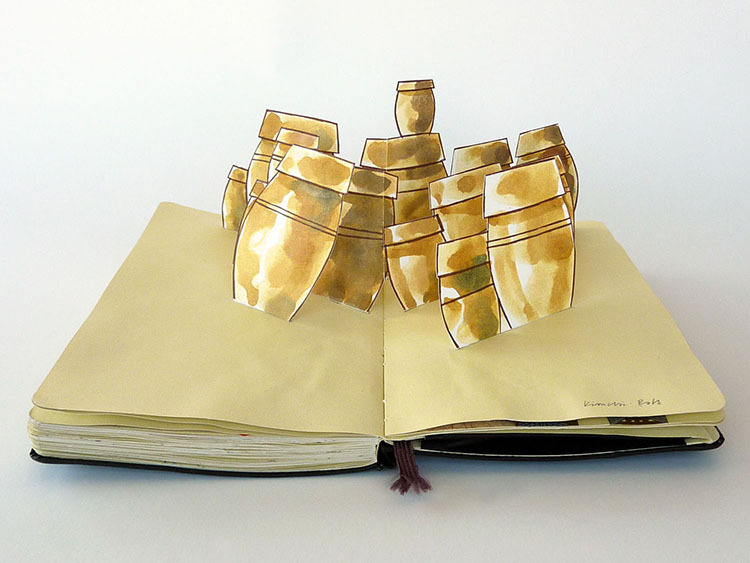 The work originates from a desire to recreate a spatial experience that is awe inspiring while at the same time bringing about something similar to a state of meditation. 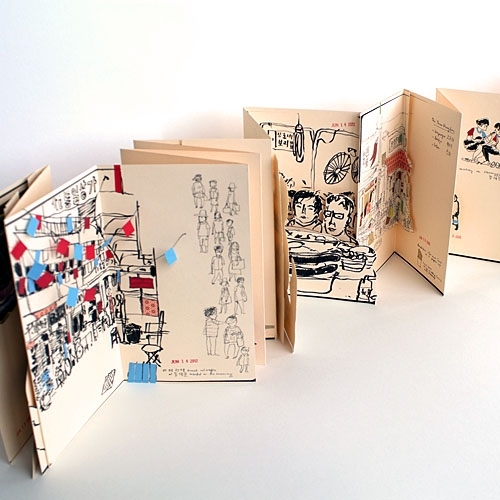 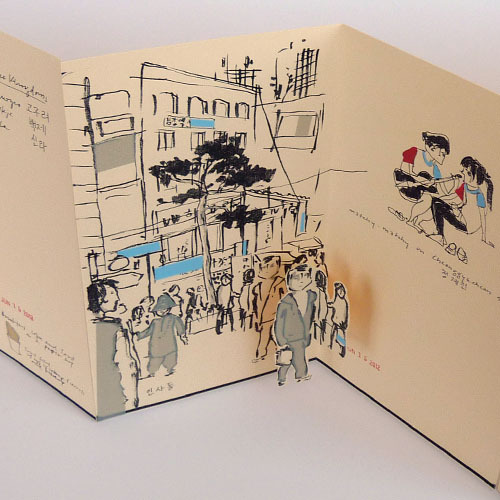 "Korean Travel Log - A Pop-Up Sketchbook", an accordion-fold artist book project with pop-up elements featuring images from travels in South Korea. 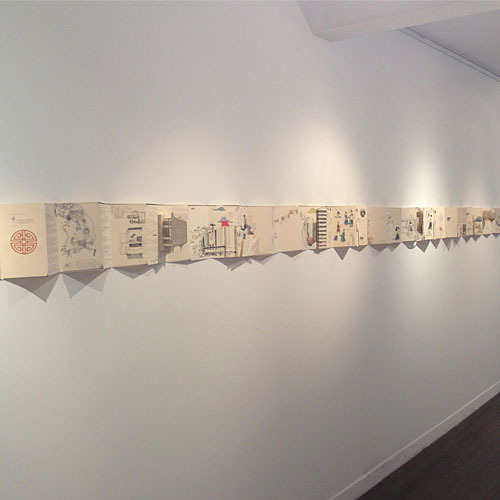 A three week trip is chronologically edited and condensed allowing the viewer to wander through a version of these travel memories. 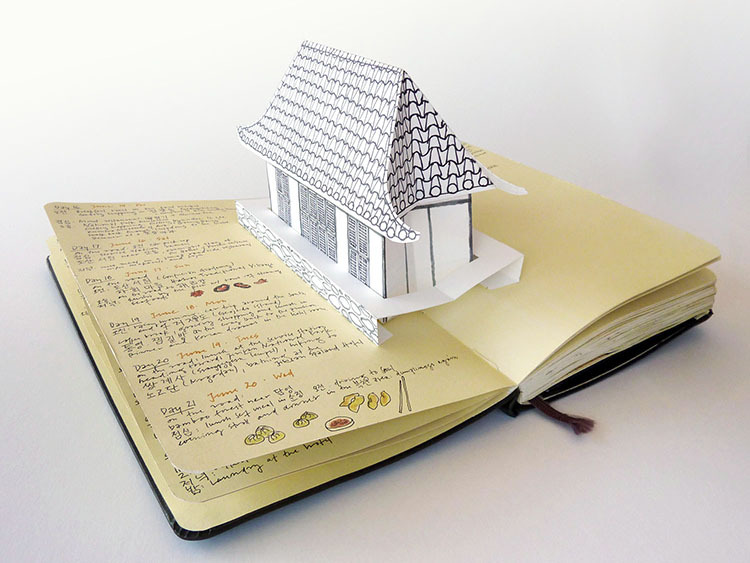 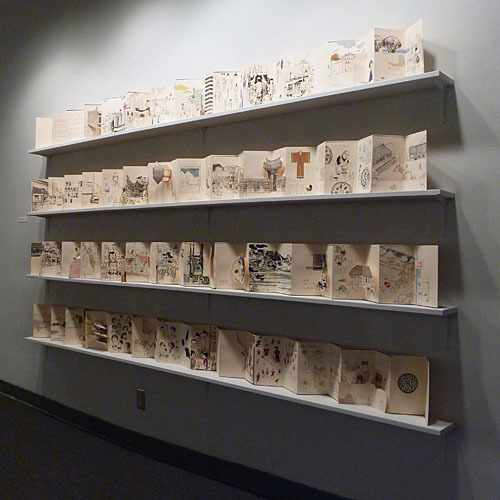 Through a variety of pop-up paper mechanisms a level of dimensionality is re-introduced into the visual travelogue. 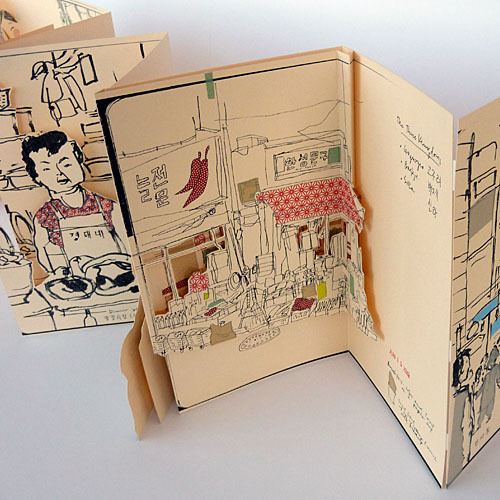 The design of the accordion fold mimics the original size, color, and page count of the original sketchbook. 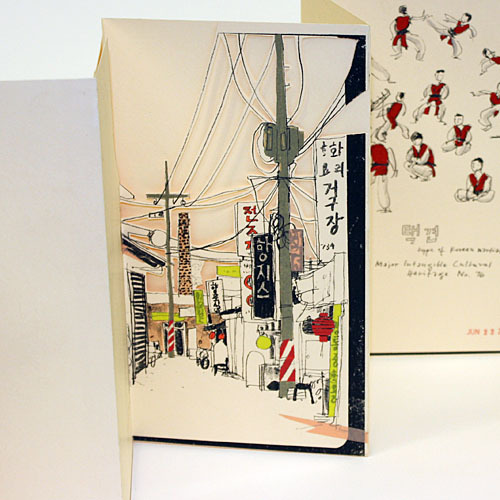 Culturally specific textures and colors are reflected through the addition of collage elements such as hanji —traditional Korean mulberry paper, washi tape, string, and stamping ink.